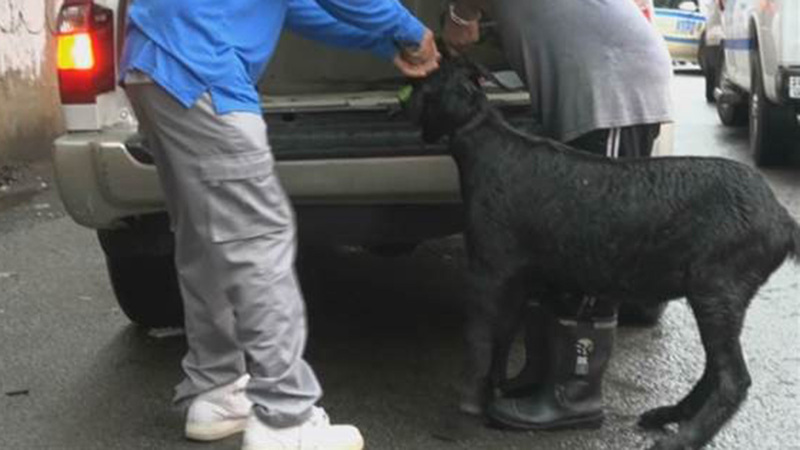 SOUTH OZONE PARK, Queens (WABC) -- The NYPD got its goat early Wednesday, wrangling an animal that escaped from a slaughterhouse in Queens. The goat was spotted running loose at 98th Street and 109th Avenue, behind MS 137, in South Ozone Park just before 7 a.m.
Police officers were able to catch the goat on the lam and return it to the owner. There is no word if the goat has been spared its previous fate.